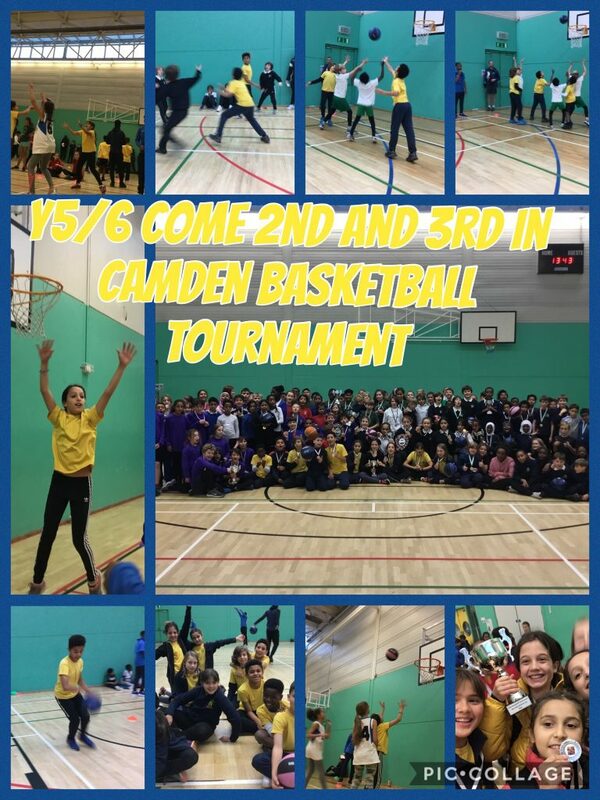 Children from our Year 6 classes competed in the Camden Basketball tournament at Talacre on Tuesday. Well done to Mia S in Year 5 who stepped in at the last minute to join the girls team. Both teams performed brilliantly on the day, and managed to get to grips with some difficult game rules! Having excelled in their first group stage, the boys entered the Cup tournament against the highest ranking teams in the Borough and were presented with 3rd place medals. The girls went through to the Plate tournament and won 4 of their final 5 games, narrowly missing first place by goal difference. They were delighted to receive their trophy and medals for 2nd place. They showed amazing teamwork and always encouraged each other throughout. Well done teams!